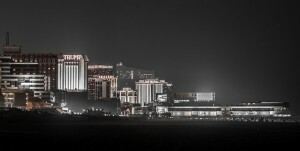 How Somebodyisfromhere.com Ruined Atlantic City. In the whimsical years pre-recession he used to go to Atlantic City maybe once a week. Especially in summer. He would gamble every time. Win or lose he’d spend money on booze. When he’d win he’d spend some of it shopping and more booze. He once tried to buy a whole poker table pizza simply because he was up that night and a stranger dared him to. They couldn’t find a place that delivered at that hour. After one particularly successful night, he took a cab to his (parent’s) house a full hour away. He asked the cabbie what was the furthest he had ever took a fare. The cabbie said, “Delaware.” Somebodyisfromhere.com’s parent’s house wasn’t as far as Delaware therefore, logic would have it, it wasn’t far. He told the cabbie to skip the train station. Then the recession hit and Somebodyisfromhere.com had gone to Pennsylvania. Those are merely symbolic events in the relationship between Somebodyisfromhere.com and Atlantic City but the timeline works. Back in Somebodyisfromhere.com’s once-a-week gambling prime – when he could say he’d played poker in as many as ten casinos – Atlantic City was still in the growing mood. They were building what would become Revel Casino for a couple billion. 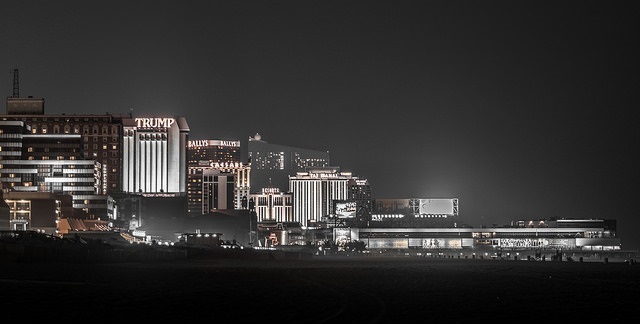 Atlantic City was trying to become Vegas. Ceasar’s and the Tropicana had showed “A.C” that it was possible. The Borgata had perfected it. Construction at the Revel started before the recession. It paused as the recession heated up and continued again after the world showed some positive signs. It officially opened in 2012. Somebodyisfromhere.com hadn’t gambled at a casino since the construction of Revel started. He always remained employed but around that time many people had real reasons to focus on their own money. It wasn’t a good time for disposable income – remember that(?) – at a casino. The other problem Atlantic City had was that financial problems hit states as well as much as it hit people. States were forced to get creative. Many, including Pennsylvania, adopted gambling and Atlantic City lost its advantage. People stayed in their home states to gamble. Somebodyisfromhere.com’s reason to be in Pennsylvania was mostly to follow a job, but, truth be told, he also likes it there. Recently he went back to Atlantic City to take the Bar exam. He stopped at the Showboat. The Showboat was Revel’s neighbor and had sat on the Atlantic Ocean for 27 years. It also closed this weekend. Somebodyisfromhere.com’s reunion with poker was everything one could realistically hope for. He played two straight days and won both times. The fact that his total winnings were $37 dollars barely matters. Not everybody has been so fortunate. The poker table provided random bits of what faces Atlantic City going forward. The best poker rooms and tables have a collegial feel. Employees of the casino had talked with the freedom of knowing their jobs wouldn’t be there in a few weeks. All three had maintained a civil face. None of the employees was complaining just answering questions that were asked. They knew it wasn’t their fault. They knew they were just dealt a bad had. This entry was posted in New Jersey, Uncategorized. Bookmark the permalink.